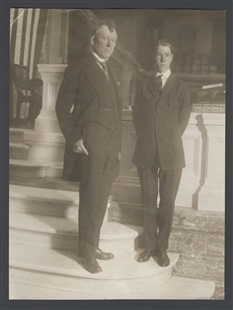 Shown here on the rostrum in the House Chamber, Frederick Gillett served in the House from 1893 to 1924, including six years as Speaker. 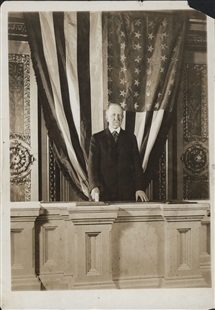 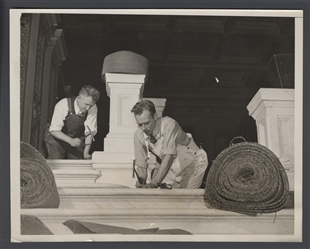 This photograph was taken during his last year as Speaker, at the old marble rostrum, replaced in 1949 during a renovation of the Chamber. 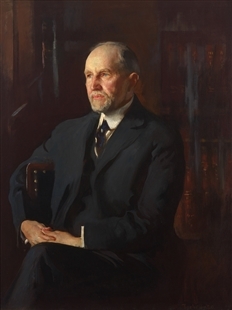 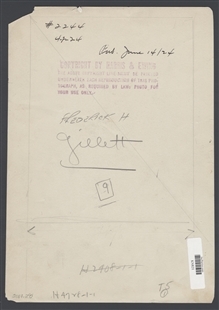 Gillett continued his public service in the Senate, serving that body for six years.